Synopsis This is a handbook for all with any interest in this lively game which is supported by hundreds of clubs in the Midlands and North Country, and claims its followers by the million. It has its own rules, tournaments and professionals, but hitherto no book has been devoted solely to its exposition. At last comes this book of authority, welcome to all players and followers. 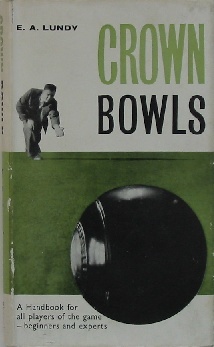 It is a manual of instruction and useful hints on which the author has had the cooperation of many expert bowlers. It has the goodwill of both the British Crown Green Amateur Bowling Association and the British Parks and Recreation Amateur Bowling Association. Here are the complete Laws of the Game, followed by a chapter for beginners full of valuable material. The author deals with methods in practice, match play, competitions, details of types of turf, problems of international competitions and professional players. There is a glossary of crown green terms, and an appendix covering individual and county championships. The book is fully illustrated with pages of plates, a frontispiece and line diagrams in text.